Is My Art Work Authentic? Can You Authenticate It for Me? It's important before proceeding for you to understand how authentication and appraisal work. They are two separate procedures. The three basic authentication methods adopted in establishing the originality of an art work include stylistic analysis, documentation, and scientific verification. An art historian will conduct a stylistic analysis of the subject property, examine its documentation, and state his/her professional opinion. Documentation includes provenance, original documentation and public exposure, etc. For scientific verification, a scientist will present his lab scientific analysis report via various methods as an opinion in order to propose a likely date of creation. An appraisal is not conclusive with regard to authenticity. Authentication is only possible when a living artist guarantees one of his/her productions to be authentic. That is not what I do. As an art historian appraiser, I analyze your art work, report my findings, and propose a well researched value estimate that meets your specific needs in the form of an appraisal report. In other words, an appraisal describes the object, explains its background, assesses its quality and characteristics relative to other objects, and provides a balanced value judgment, but it is not a certificate of authenticity. Ultimately, neither we nor any other honest art appraiser can guarantee 100% the authenticity of your art (although not all appraisers will admit this). Even the successful sale of a piece of art does not prove its authenticity. It is important to understand the inherent limitations of any art appraisal before paying for one. Is My Art Worth Anything? Can You Give Me a “Ball Park Number” for My Art? It would be dishonest and unprofessional for us to provide even a ball-park figure for how much you might make by selling your art object. A dependable estimate requires close analysis of the object, research in Asian-language sources, and a thorough study of comparable objects recently sold on the market worldwide. This research cannot be conducted unless you are prepared to pay for an appraisal. If you ask for a quick estimate, you are likely to receive what you are seeking: a careless, unprofessional guess that shortchanges you. No matter how many objects an appraiser has seen and no matter how experienced s/he is, a dependable appraisal can only be made after research and study. Is My Art Worth the Money I Will Spend on an Art Appraisal? We encourage you to start with Preview My Artwork before you commisison a full appraisal. The simple truth is that you cannot know with certainty whether your art is worth the money you will spend on an art appraisal, so you must be prepared for at least some uncertainty. Commissioning an art appraisal from an experienced, highly trained professional is the only way you can find out with assurance what your object is worth. Owners are sometimes disappointed to learn the fair market value estimated in a report, but ubiased, expert analysis will ultimately help you, not matter what the range of figures provided for your art. An honest, carefully-calculated value estimate will prevent you from wasting your money, time, and energy in pursuing (and paying for) an unrealistic or unsuccessful sale. As professional art appraisers, we are required to analyze objects according to objective standards and weigh our judgments following professional guidelines and code of ethics. Whether you use our services or those of another art appraiser, we urge all art owners to beware of professional appraisal standards, appraisal methodologies, and code of ethics techniques that protect the public trust in appraisal and the higher standards for professional services. What Can I Expect from Your Art Appraisal Report? Our appraisal report will answer most of your questions relevant to the property's originality, date of creation, value conclusion and its most relevant & appropriate market place. It will discuss the artistic aspects of your work, its historical significance, and its market potentials, and refer to the performance of comparable items currently on the market. This kind of research and analysis puts you in a good position to decide whether to insure or sell your art now or to hold onto it. In recent years the market for Asian art has been volatile and unpredictable; advice from our qualified Asian art specialists will equip you with insider's knowledge you need. 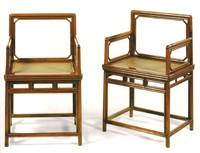 Our Asian art specialists have Ph.D.'s in Chinese art and relevant fields, M.A. 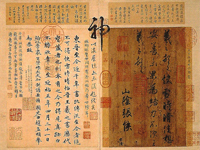 degrees in Asian art, and many years of hand-on experience on Asian art objects in the field. We take seriously the obligation to analyze your art closely, study its history, rank its quality, and conduct thorough research on qualified comparables on the current art market before present you a well-researched value conclusion. Don't be fooled by offers to do a quick appraisal based on a quick viewing, years of experience lacking in formal education, and intuition, since Asian art is a very complicated speciality and requires a set of special skills. Without knowing relevant Asian languages and their classical scripts, the history, cultural aspects, traditions and aesthetics of a specific art work, preparing a well-researched appraisal report is almost impossible. How Can I Have My Art Work Appraised? Where Should I Start? This is how a formal appraisal works: Start with Preveiw My Artwork. If it merits an appraisal, we will make proposal based on your appraisal needs. When you are ready to procced, with your approval and payment of a retainer (appraisal fee), we then make an inspection appointment, discuss your needs, and conduct stylistic and market research. We also need to examine original documentation ( original receipts, provenance evidence, publication, etc), request more information. Once we receive the requested information from you and inspect the item, we are able to complete most appraisals within two to three weeks. The final appraisal report will be sent to you via USPS after the appraisal fee is paid in full. How Do I Know Which Art Appraisal Reporting Option to Choose? Please read our Appraisal and Consulting Services for more information. You need the right appraisal to achieve your goals. For example, a Restricted appraisal (Level 1) might meet the basic personal needs for a general consultation. A Summary Appraisal (Level II) is suffiicient for insurance coverage or claims but not accepted by IRS for tax deduction. A Summary Appraisal helps you make an informed decision and provides a reasonable amount of information, but not in great detail, in a form that can be shared with a third party. A customized appraisal package is designed to meet your individual needs. If you have additional appraisal needs not covered in the standard appraisal packages posted at our website, we are happy to prepare a customized appraisal report that answers your specific concerns. Sometimes we recommend a Customized Appraisal for those who own more than one art object, or for people who are unable to take photos of their object, or those whose object needs to be seen in person in order to complete an appraisal. We encourage you to discuss your specialized needs with us; we promise to suggest a package customized to your requirements and we pledge not to pressure you in any way. We are dedicated to educating our customers, taking them step-by-step through the appraisal process, and approaching every job with integrity, patience, and courtesy. Can You Conduct an On-site Inspection of My Art Object? We recommend that you arrange an on-site inspection of your property before you commission an appraisal. This approach will brings you two benefits. First, you receive an accurate value estimate from a professional rather than an extraordinary assumption of value via photos. Second, you don't need to proceed with the appraisal if your art property is of limited value. This method involves some extra charges beyond the fee for the art appraisal report, but it is worth it. If you are interested, please explain your concerns, and we are happy to make a detailed proposal explaining the procedure, the timing, and the fees. Why Do I Need to Answer Your Appraisal Questions? It is important to respond to the questions we ask truthfully because it is relevant to the value of your property. Your answers to our questions often provide details concerning the provenance (the history of ownership) of your art object, including how the object entered your possession, publication, as well as its recent history since then. All of these details are important to help our art specialists, since the provenance of the art work and its current condition need to be documented carefully in the appraisal report. These factors have a strong influence on the final value conclusion. How Do You Conduct Your Art Appraisal? Normally after a brief exchange of correspondence about the art object, the owner answers the questions, and sends us high-quality photographs (usually digital photos sent by e-mail attachment, but prints are also acceptable) according to our specifications for a preview. As a first step, we depend on copious photographic documentation of the object, either provided by the client according to our specifications, or taken by our art specialist while inspecting the piece in person. Secondly, we conduct research on the history of the particular kind of object, utilizing the best scholarship in Chinese, Japanese, and European languages, in order to understand the genre of the piece, its content, style, and likely provenance. Third, we conduct a thorough review of the current market for this kind of art work, utilizing a variety of sources, the most important and sizeable of which are records of recent sales and current offerings in the auction houses and galleries worldwide. In suggesting a date and proposing a value, we always provide a few comparable pieces and discussion of their similarities and differences from the piece under consideration.Then we study the current art market and prepare the final written appraisal. A formal art appraisal report conducted by WEI YANG ART will explain to you what you own, estimate the likely performance of your art in the current art market, help you to appreciate your art, and answer other specific questions you may have. We tailor the report to your specific appraisal needs, whether you concern insurance coverage or claims, consultation for disposition, museum donation, or estate distribution, etc. Can You Appraise My Art Work by Photos? It is permissible with limitations. However, we don't recommend it. For some types of art, this method is acceptable. However, you need to be aware of the specific responsibilities associated with this request. For example, you need to hire a professional photographer and provide us with a set of high-quality digital photos of the object for a photo inspection.You need to work closely with your appraiser to insure the photographs conform to his/her specifications. You need to follow your appraiser's instructions and conduct a series of hand-on experiments on her behalf. You need to respond to the appraiser's questions to the best of your ability. If you think you can handle these details, let's talk about this option. We treat each art object, whether we inspect it in person or through photographs, with equal respect and attention. What Kind of Photos Do You Need for Appraisal Research? Please read the instructions for photography at Photo for Appraisal before taking any actions. In general, the photos should be in as high a resolution as possible. If you are sending many large files, it is also more convenient to burn them on a CD and send it by U.S. mail rather than by e-mail attachment, since it will exhaust my mailbox space and make the communication difficult. How Long Does It Take for You to Complete an Appraisal Report? After you send us a retainer, relevant information, the requested photos of your art object, and with the completion of the inspection, our art specialist will begin research, conduct value calculation, and draft the appraisal. It usually takes us two to three weeks to complete one appraisal, depending on the complexity of the assignment. At that point we will request final payment. Once the appraisal fee is paid in full, we will send you a hard copy of the appraisal report via USPS or a faster delivery method at your cost.